The Nomadic Allotments will be designed during the Vertical Studio Workshop at the Welsh School of Architecture during the month of May. Click here for more details of the workshop. 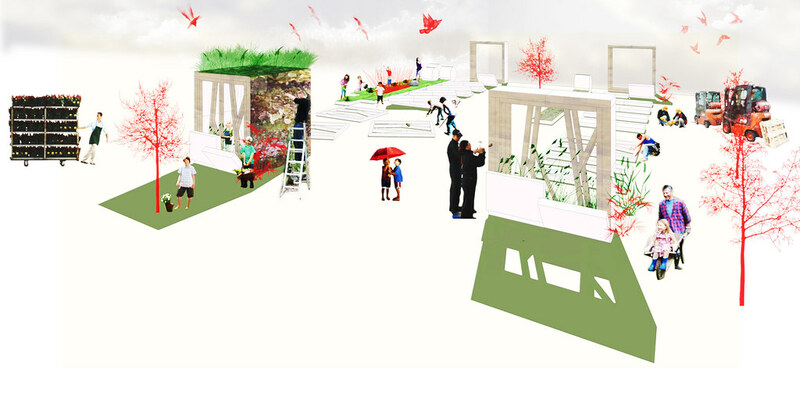 The construction of the Nomadic Allotments will occur from 28nd May to 2nd June at Borough Market. The Nomadic Allotments will be launched during the London Festival of Architecture 2010 Urban Bankside focus weekend of 3rd and 4th July. The allotments shall provide a green background to Borough Market’s Food Exchange Celebration on the 4th July. Remember to check back for project updates.